Can non-Indigenous people get traditional Inuit tattoos? 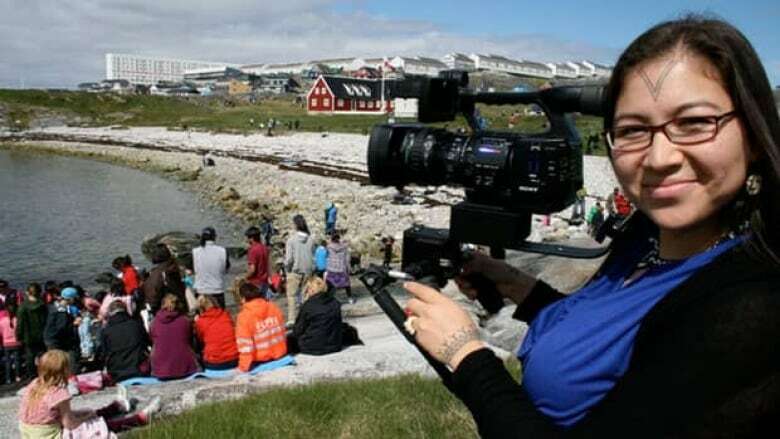 It's a question Alethea Arnaquq-Baril, director of Tunniit: Retracing the Lines of Inuit Tattoos and the award-winning film, Angry Inuk, gets asked — a lot. The answer, she said, is pretty simple: No. However, she understands why some non-Indigenous people might want to get one. "In my experience, people see how profound it's been for me and other Inuit women to reconnect with our heritage, and I think they yearn for the same thing. And I don't blame them for that at all," said Arnaquq-Baril. But she added what makes these tattoos meaningful is that they're connected to her culture and her heritage. "They mark our identity as Inuit women," Arnaquq-Baril told Tapestry host Mary Hynes. Arnaquq-Baril encourages those interested in getting Inuit tattoos to look for beauty within their own heritage. "Every culture has just incredible, beautiful things about them. And the vast majority of cultures have a really long history of tattooing, as well," she said. "There's just so much opportunity for that kind of beauty and profound connection. You'd never fill that void in the same way, by copy and pasting from my culture." 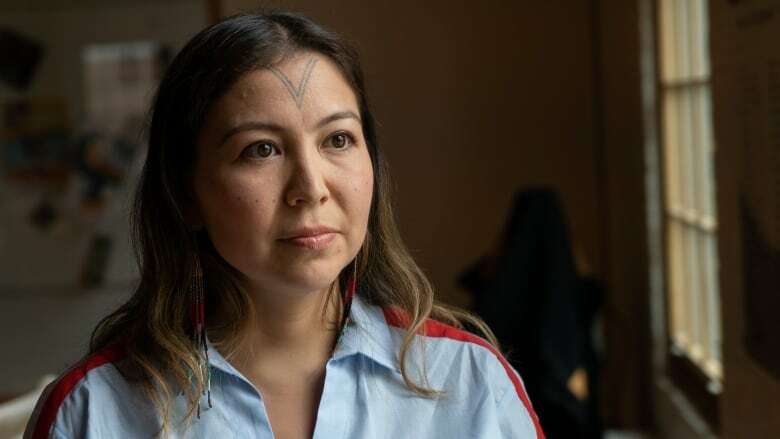 The path to reconnecting with her culture through tattooing began when Arnaquq-Baril was a young girl, looking at old photos of Inuit women. She thought the tattoos they had on their face were beautiful, and so decided to learn more about them — and consider getting her own. Tunniit follows Arnaquq-Baril on that journey, during which she interviewed 60 elders across Nunavut. She said a hundred years ago, Inuit women got tattoos as a rite of passage. But in the early 20th century, Christian missionaries started showing up in the North. They banned the practice and taught Inuit that tattooing, and many other aspects of their culture, were "evil." When Arnaquq-Baril started researching, she knew of only one woman with the traditional facial tattoos — but the woman died at 104, just weeks before Arnaquq-Baril was scheduled to interview her. Arnaquq-Baril said the practice might have been banned, but it never died. "It went underground," the filmmaker said. Women would get their arms tattooed but keep it a secret. She recalled getting a lot of flack from fellow Inuit once news spread that she was making the film. "They tended to be quite strongly Christian in their beliefs, and were nervous about the idea of bringing back parts of our culture that are related to our spirituality in any way, or might even appear to be, even if they're not," she said. "I knew that if I just put my head down and made the film, once people saw it, they'd understand that I wasn't trying to do anything evil or bad." Now, eight years after Arnaquq-Baril finished Tunniit, the practice of Inuit tattooing is being revived. According to her research, 12 women across the Arctic currently practice the traditional methods of tattooing, something that wasn't available to Arnaquq-Baril when she first got tattooed. She's organizing a tattoo gathering for sometime this fall or winter. She said the issues she had to consider for herself, as well as her family and community, don't apply to non-Indigenous people. "This decision to tattoo our own bodies is an act of reclaiming sovereignty over our own bodies, and it's so fraught with emotion and difficulty to do that for ourselves, and it's just not for non-Native people," she said. "I think if non-Native people felt like they were allowed to go get our tattoo patterns … we could very easily end up with more non-Inuit with our tattoos than Inuit." Click "listen," above, to hear the interview. This interview first aired September 30, 2018.